Gorgeous 2 Bed/2 Bath Laguna Beach Condo! 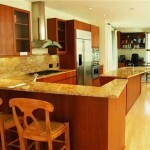 Home » local » Gorgeous 2 Bed/2 Bath Laguna Beach Condo! Amazing, one of a kind condo in beautiful Laguna Beach! Enjoy all the surf, sun, and sand South Orange County has to offer in this gorgeous 2 bed / 2 bath loft-style condo. End unit with partial ocean views. Feel like you are on vacation every day in this spacious beach bungalow! 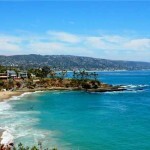 Who needs Hawaii or the Caribbean when you can head to North Laguna Beach to enjoy the summer. This listing will go fast… 2 blocks from Crescent Bay Park and Beach on the OCEAN side of PCH! You are literally steps from the sand… What a dream! This contemporary loft-style condo is upgraded, upgraded, upgraded! Top of the line kitchen appliances, granite counter tops, a gourmet island kitchen that opens to an open, airy great room and private view patio/balcony. 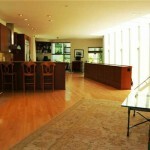 Stone floors and custom carpet throughout. No expenses were spared to totally spoil you! The unit is very light & bright with 2 patios to enjoy your beautiful beach home! You’ll fall totally in love with the spacious master bedroom… Curl up in bed next to your fireplace… Gaze out into the Pacific on your own private patio retreat… The large secondary bath & bedroom has sliding doors leading outside… And to beautiful Laguna Beach. The gated complex also offers secure underground parking, a storage unit & community gym. What’s not to love?! This beach bungalow gem is close to Newport Beach, Corona del Mar, and Irvine. Minutes away from San Juan Capistrano, Dana Point, and San Clemente! Call Cheryl TODAY to learn more about this amazing property! And hurry, it won’t last long.